A view from near the wave power station at Claddach. A fishing boat on the way to Portnahaven is passing Eilean Mhic Coinnich. 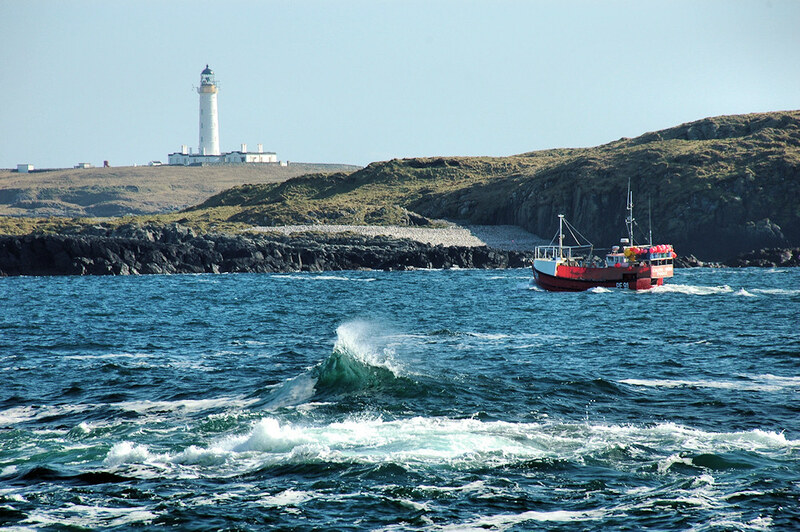 The Rhinns of Islay lighthouse on Orsay in the background. This entry was posted in Landscape, Lighthouses, Repost, Sunny Weather and tagged Claddach, Eilean Mhic Coinnich, Islay, Orsay, Rhinns of Islay by Armin Grewe. Bookmark the permalink.